I'm in a bit of a slump. I'm not OK with a few things; including my current diet. 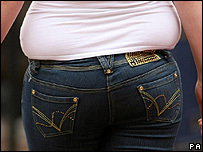 If your diet is causing you to gain weight, you should change it before you become obese. I know, I've been whining about this before... but that only goes to show that I'm actually struggling with it. And I am not happy about that at all. Note to self: just because you have a history doesn't mean you're immune to physiology. I need new jeans though. And I am really panicking about not fitting in my dress.... the thing is I'm not sure if I could find support for this. Because I'm not overweight and because I'm the doctor I should know what's best... Knowing doesn't make doing easier. Another thing that may not be extremely difficult but rather boring: I have to re-take the written driving test tomorrow. I will probably have to devote an entire post to the driving subject... just let me pass the test first. Studying for it is tedious and making me cranky. Also not smart: If you're known to get asthma attacks during exertion in low temperatures, do remember to use your inhaler BEFORE leaving. Else the supposedly easy 5k run becomes a lot harder and a lot wheezier. I always wonder if running during an asthma attack has the same effect as height training. Scheduled for tomorrow: 6k run WITH inhaler. Maybe I'm also a bit stupid.